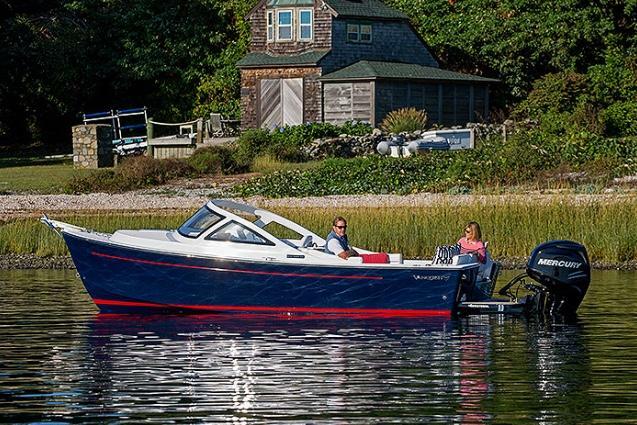 The Bristol Harbor Series - Cuddy Cabin is constructed with many of the high quality materials found in larger Vanquish models. 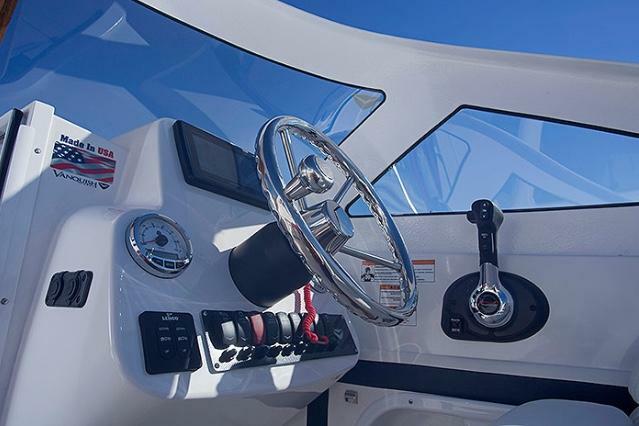 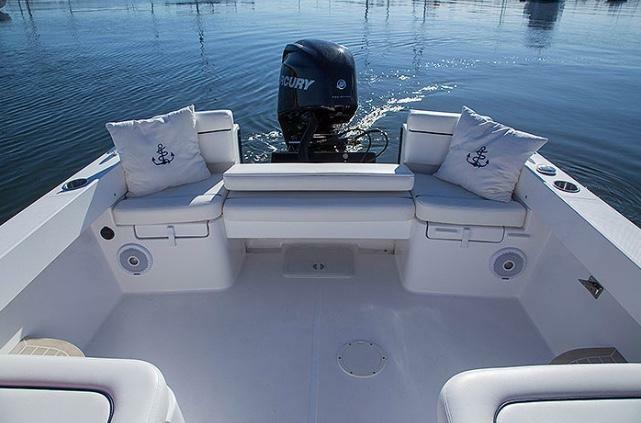 This sister craft offers stunning good looks on a super-durable Vinyl-Ester Epoxy Resin hull that is foam filled and resin sealed to make all Bristol Harbors unsinkable! 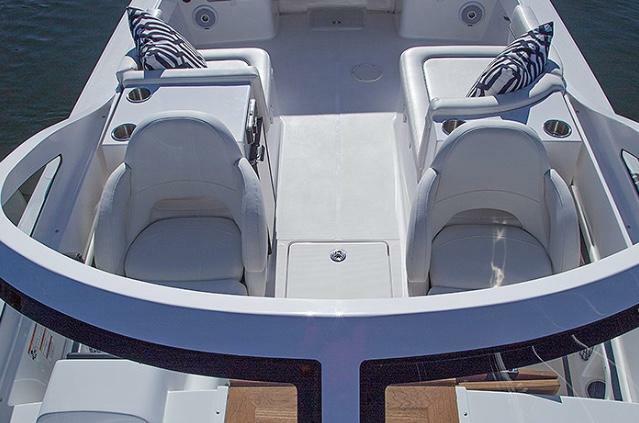 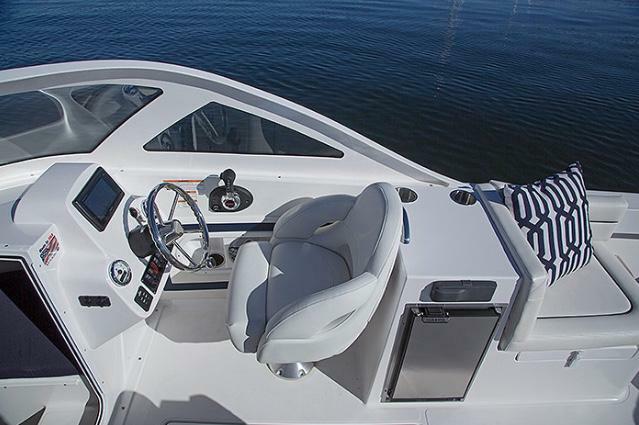 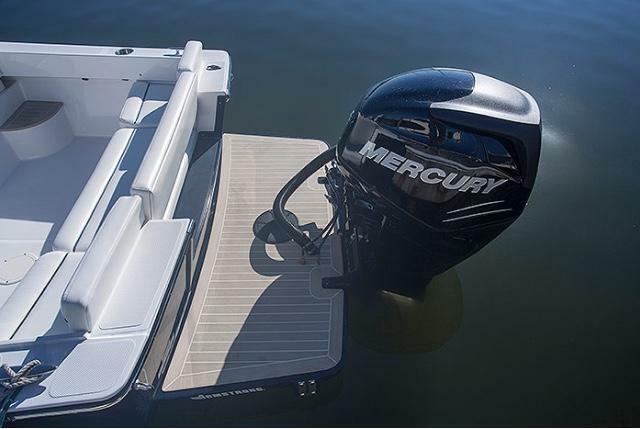 A precisely balanced, variable deadrise hull is stable at rest yet dry and comfortable in chop. 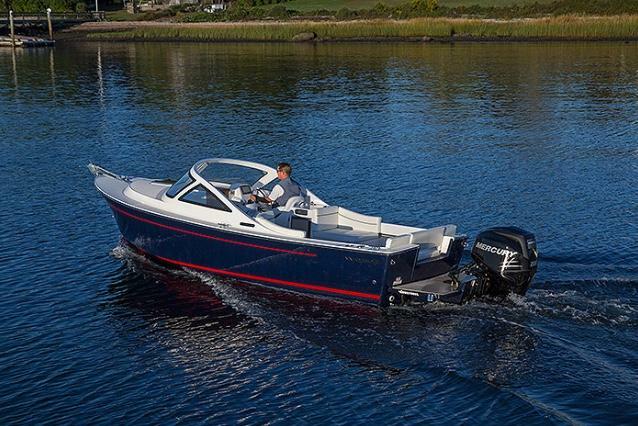 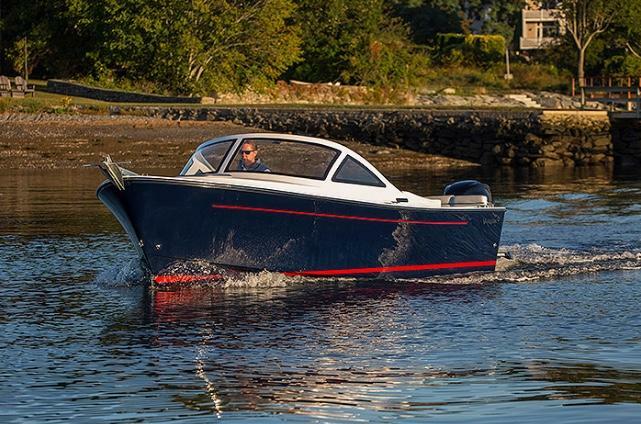 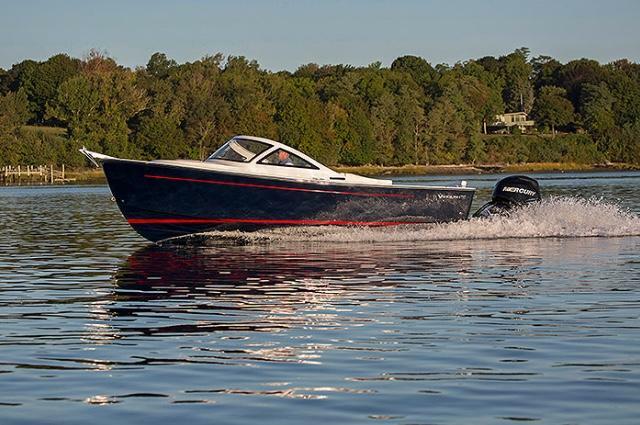 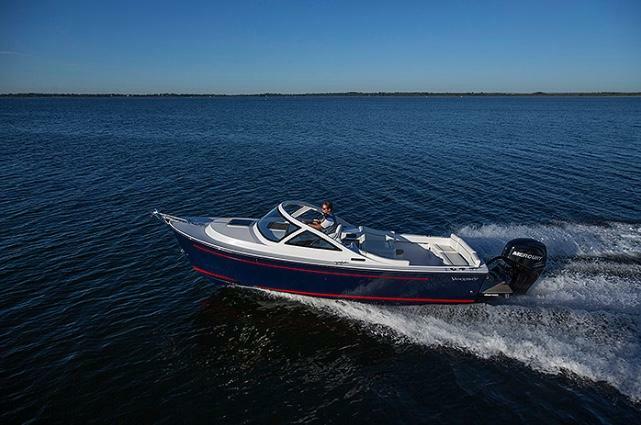 But what is even more exciting is that the special variable deadrise hull design produces much greater performance with less horsepower than other 23’ boats. 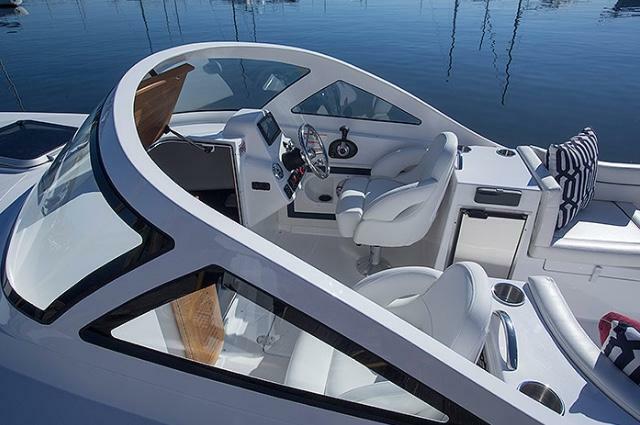 The savings in power package costs allows us to work with the finest components and materials during the construction process without breaking the bank. 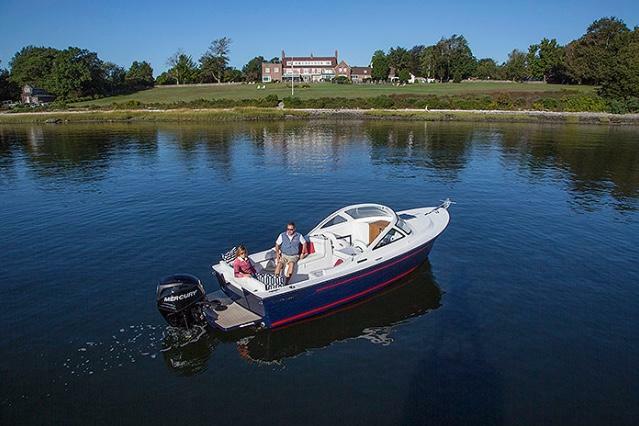 With seating for eight, modest sleeping accommodations below decks, and a head in the cabin, a fun day on the water can be extended overnight. 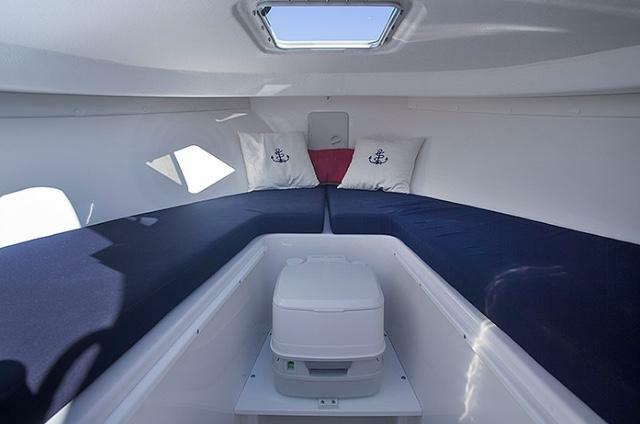 There is a wide range of color options, interior fabrics and entertainment features that encourage each owner to put their unique signature on a cuddy cabin that turns heads at every port.